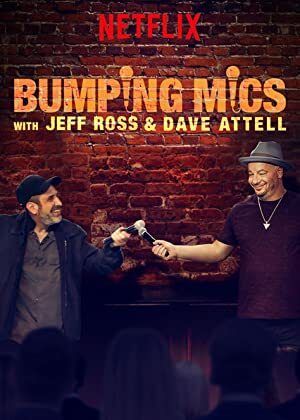 Bumping Mics with Jeff Ross & Dave Attell – Season 1 (2018) – What's New on Netflix Canada Today! When Jeff Ross and Dave Attell take the stage, no one is safe. With the help of special guests, they’re packing a lot of laughs into one epic weekend. Veteran comedians Jeff Ross and Dave Attell roast each other, the audience and special guests. When Jeff Ross and Dave Attell take the stage, no one is safe. With the help of special guests, they’re packing a lot of laughs into one epic weekend.